All “A” machines are equipped with an appropriate power outlet pre-fitted to the power head. When a hand tool is connected to this supply, the vacuum cleaner and the tool operation will be fully synchronized; when the tool is switched off the vacuum cleaner will purge and switch off automatically. The converse is also true, switch the hand tool on and the vacuum cleaner switches on automatically. This is vitally useful when machines and workstation are not adjacent to each other, ie on scaffold or ladders – the operation is fullyautomatic. 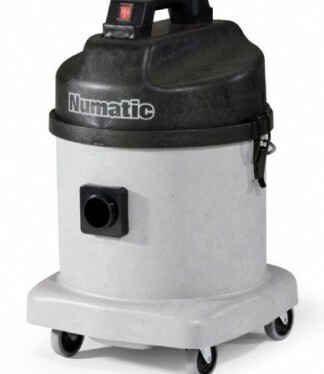 As with the single motor machine an optional kit is available (NH5) to allow the DustCare machine to be connected directly to the dust collection hood on the particular hand tool being used. A perfect example of a Duplex application is the use of single or twin bladed wall chasers used on pre-plastered surfaces. The dust generation is both fine and of high volume and requires a maximum performance Dust collection system.